If you work with the latest version of MS PROJECT 2016, and you have update it regular you will notice one great improvement in Predecessor field. Before improvement, in the Predecessors field we we able to put the Task number. 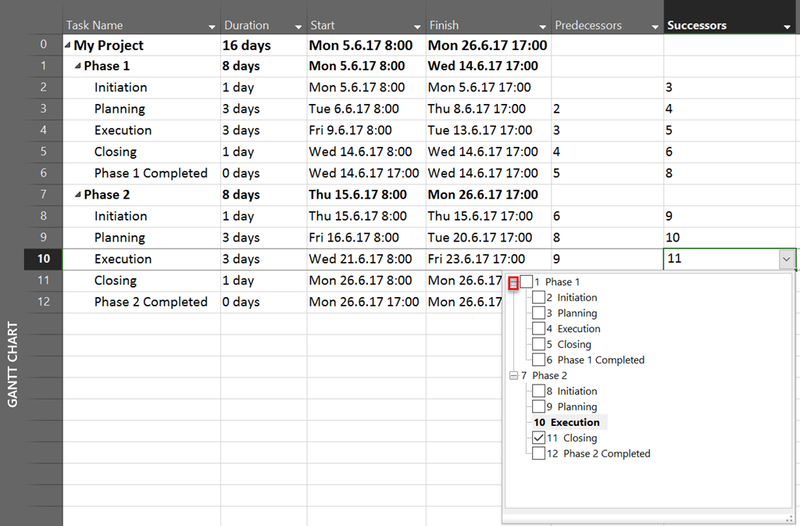 If you have a lot of Tasks you will not see them all in one screen, and that is what usually is the fact. 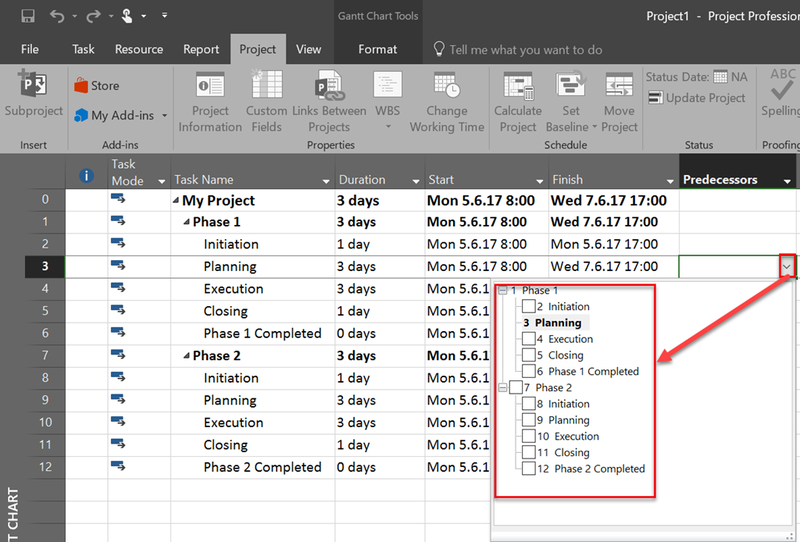 And, as you can see in my example above, there are times when you have more than one Task in your Project with the same name. So, it was easy to put wrong Predecessor for the Task, which made a lot of trouble. Now, there is a new way to put Predecessor. Now, you can actually choose which Task (or Tasks) are predecessors of the current Task. So, Task for which you are going to choose Predecessors is bold, and all to all other Task you can put checkmark to choose them. So it is now much harder to make a mistake. To conclude, great, GREAT improvement. 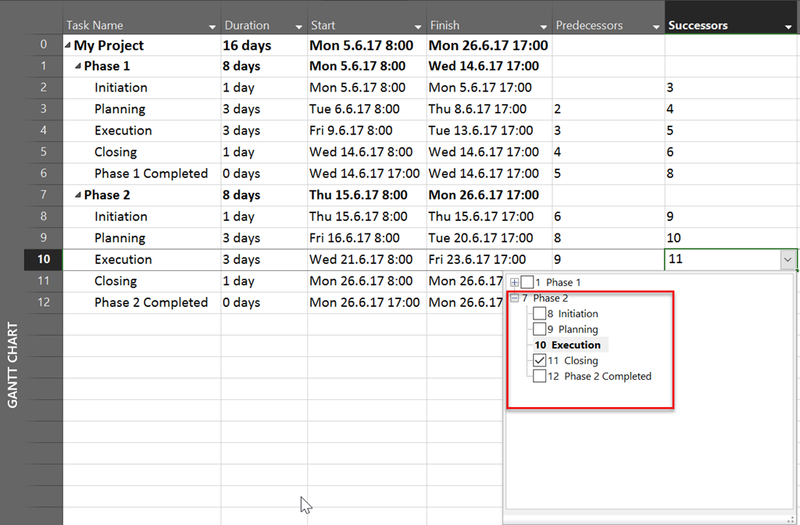 This entry was posted in MICROSOFT PROJECT, MS PROJECT 2016, PMI, PRoject Management and tagged Micorosft Project 2016 - Schedule, Micorosft Project 2016 - Tasks, MS PROJECT. Bookmark the permalink.